Our company studied the exact and practical working of Nidhi along with the common problems faced by such organization based on study and examine, we develop Nidhi Company Software with Full Data Security. Our Developed Nidhi Software helps you in focus on your marketing and consumer management activities by speeding up your work and reduce the hours needed to perform time-intensive management and organizational responsibilities, improving effectiveness, driving out cost and increasing profitability. It is fully customizable and can be integrated with real-time Mobile, SMS, and Email system. Nidhi Company software, also known as RD FD Software or Agro Producer Company Software and it is simple and easy to understand. Our expertise in Nidhi Software, RD FD software, and more banking finance management Software development is added to your insight and in-depth knowledge of your industry and the tasks you need to achieve to make your business run more efficiently. Well-known & Leading Software Service Provider from Jaipur, India, we provide Automated Multi State Credit Cooperative Society Software, Nidhi Software, RD FD, MIS, Accounting Software. Fin Superb is an online web based credit cooperative society software built especially for Credit Cooperative Societies with automatic posting of business data to accounts module. Fin Superb V4.0 is a .NET based centralized database online software for Credit Cooperative Societies with core banking operations such Fixed Deposit, Recurring Deposits, Daily Deposit Schemes, Loan to Customers, Monthly Income Schemes, Dividend declarations and much more features. It’s a exclusive product mainly Developed for Credit Co-operative business by Cyrus under the Brand Name Fin Superb V4.0 with a world in class features and cared with all the small needs in the software ever for future requirements as well. We have 5+ years experience in Credit Cooperative Software Development, and providing Software Solutions for Small large Credit Cooperative Business. •Deposit Section Cyrus is a renowned Credit Co-operative Society Software Development Company, Experienced and popular for the development of Credit Co-operative Society Software in India with an experience and trust of 6+ years in building Credit Co-operative Society Software and websites. Finance Management Software or Financial System Software is a special application software that records all the financial activity within a business group. 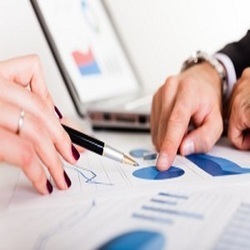 This Software is developed with includes all the modules of accounting software like accounts receivable, accounts payable, ledger, reporting modules and payroll, but also to explore alternative investment choices and calculate statistical relationships. Features of the software may vary depending on what type of business it is being used for. The first and foremost goal of the finance management software is to records, categorize, analyze, compile, understand and then present an accurate and updated financial dates for every transaction of the business. Cyrus Technoedge provides mini banking software with the free online demo, the mini banking system. we are the No 1 web and software development company in Jaipur has developed a software which is specifically meant for the cooperative society type of organizations. Besides, they have also built software which is aimed at helping out the producer companies in India. Our Mini Banking Software is a fully customized software custom made for the client business. The software is very easy to use and extremely user-friendly. The software is highly useful and effective and many companies are successfully running their business using this software. We are a unique name in the industry to provide our precious clients the best quality Credit Society Software Management. Cyrus is offering clients' application based Money Market software for money market support in order to come out of their labor-intensive systems as well as helping in making the organization fully computerized. 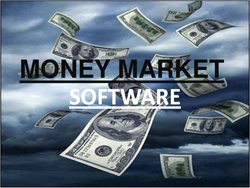 Our Money Market Software solution aims at making each every enterprise a fully computerized one with the help of the deliver software support. Cyrus is providing high quality software for managing all those operations are needed to run a Co-operative Housing Society or a bank, named as FIN superb (Society Management Software). Accounting and book keeping of records are some of the key features for any home or apartment owner. To maintain the data of complex aspects such as vehicles, residents, revenues, documents, bills, payments, dues and more are never an easy task when it’s a township or a flat with plentiful families. It is definitely a muddling circumstance to maintain many email groups, and many excel sheets with an email id, address, contact numbers, vehicle details and lots more. 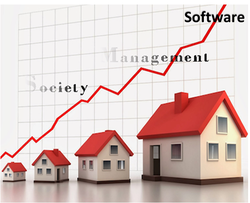 To bring a solution to these kinds of problems the housing society Management software came into light. For the easy management of residential complexes this appropriate software is mandatory. For easy bank transactions and keeping a record of them the housing society accounting software is available. Society Accounting Software or Financial System Software is special application software that records all the financial activity within a business group. 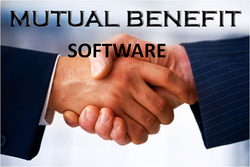 This Software is developed with includes all the modules of accounting software like accounts receivable, accounts payable, ledger, reporting modules, and payroll, but also to explore alternative investment choices and calculate statistical relationships. Features of the software may vary depending on what type of business it is being used for. The first and foremost goal of the society accounting software is to records, categorize, analyze, compile, understand and then present an accurate and updated financial date for every transaction of the business. 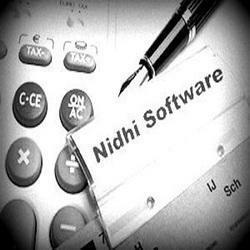 Nidhi software also known as RD FD Software or Agro Producer Software and it is simple and easy to understand. Our process and methodologies are persistently monitored, efficient to keep pace with the new innovations in technology and customer's requirements. 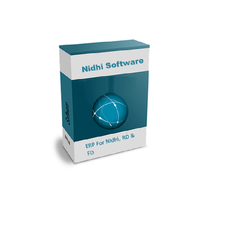 A person can master of this Nidhi software in short time with basic computer knowledge. We are Top rated NIDHI Software Company, Cyrus Technoedge's Nidhi Software is top Selling Nidhi Software in India. Contact us today for Nidhi Company & banking Software.7+ years Experienced Cyrus Technoedge's is specialize in developing Software for Nidhi Company that will automate your Nidhi development, building your Nidhi business more effective and responsive and saving you time and money. Looking for “Fin Superb - Credit Society Nidhi Software”?